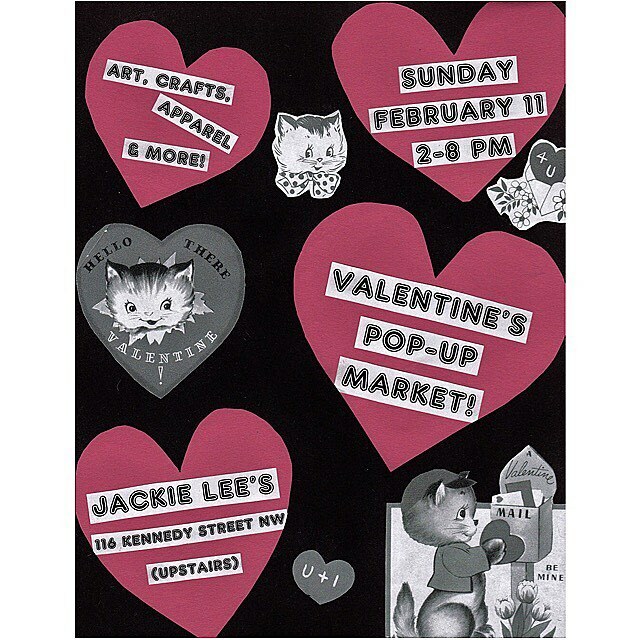 PoPville » Jackie Lee’s Valentine’s Pop-Up this Sunday!! Come treat your sweetie (or yourself!) at Jackie Lee’s Valentine’s Day Pop-Up market. Local vendors will be selling art, crafts, apparel and more! DJ Dianamatic will be providing the tunes and the kitchen is open for brunch till 3 and dinner starting at 5!